March 28th was Marlin Perkin’s birthday. When we were kids in the 70’s, he hosted Wild Kingdom, which influenced us in many ways. We both have fond memories of watching it on Sunday evenings, where Marlin and his crew exposed us to many wild and exotic animals, and helped form us both into animal lovers and environmentalists. As adults, we wanted to pay homage to a man who was a great conservationist and also a strong character (read the bit about his interview with Bob McKeown, we hope we’re that badass when we’re in our 70’s). As such, we wanted to create a drink to honor him. Read on to see what we came up with. Stir with ice. Strain. Garnish with a lemon twist. Nose: Savory, slightly meaty notes. Salty, dusty minerals. Sage brush wood. Lemon. Hint of smoke and petrol. 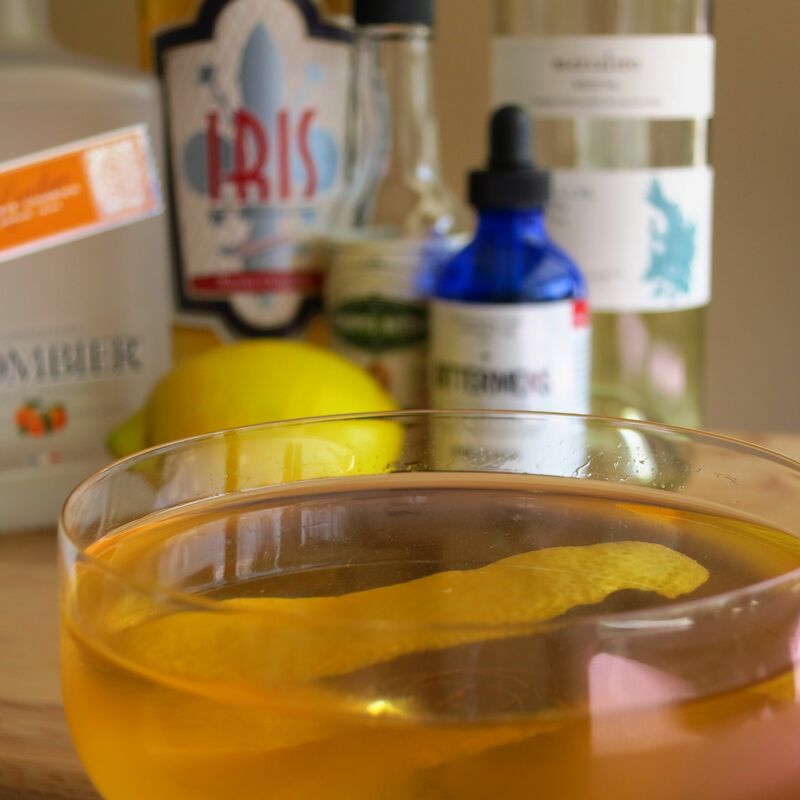 Palate: Sweet orange to start, then lemon, iris and a little bit of almond. Mesquite, sage brush, dust, and smoke on the mid-palate, underpinned with a bit of red fruit flavor that we believe is from the Burlesque bitters. Long, nicely bitter finish with a combination of celery & floral notes. Some orange peel on the aftertaste. Undercurrent of briny mezcal notes throughout. If you’ve never seen Wild Kingdom, we recommend you get yourself to your favorite streaming video sources (youtube is a good start) and take a look. Mix yourself an eponymous cocktail, enjoy Mr. Perkin’s narration, and learn more about the incredible creatures we share the planet with. 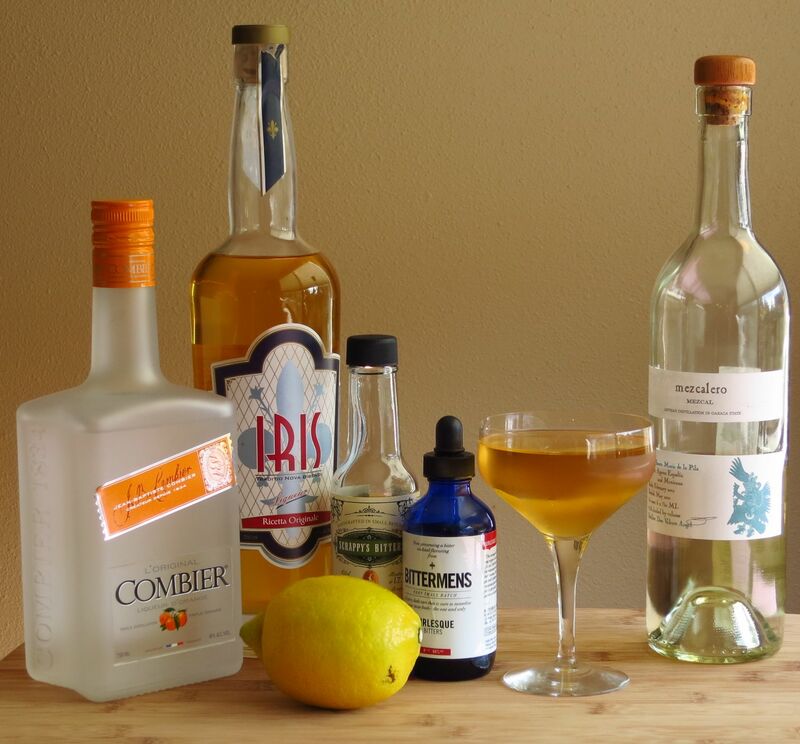 This entry was posted in iris liqueur, mezcal, Original Cocktail, triple sec and tagged bittermens burlesque bitters, combier triple sec, iris liqueur, mezcalero mezcal, scrappy's celery bitters, wild kingdom cocktail. Bookmark the permalink.